Tooth decay, if left undetected or untreated in toddlers and children can result in altered eating habits, delayed speech development, and create an unhealthy environment for permanent tooth development. 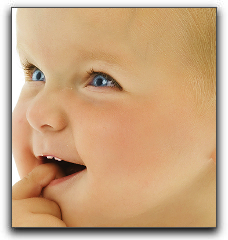 Healthy baby teeth lead to healthier permanent teeth later in life. Cosmetic and pediatric dentists advise taking your child to their first dental appointment six months after the first tooth appears, or around his first birthday to begin discussing fluoride prescriptions and other preventive care issues. To set up your toddler’s first dental check-up at Louis & Dominic Vitangeli DDS in Englewood call 937-836-3565 today! Our friendly and gentle staff will be happy to answer all of your questions.